Burgers? Chicken? Make it a Double! Head on in to Gables Grill after soaring through the air on the UNTAMED roller coaster to check out our family favorites. 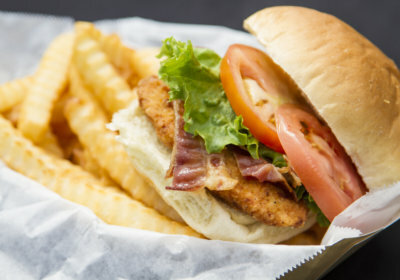 Burgers, Fries, Chicken Sandwiches, Tenders & more!